Who can do a building report? Here in Melbourne there are no regulations as to who can and can’t perform a building inspection and provide you with a report. Pretty much anyone can call themselves a Building Inspector, regardless of whether or not they have any experience, qualifications or training in the building industry or property inspections. If you’re looking to get a building inspection, you probably want it to decide whether or not the property you are looking at buying is a good investment. So you want to make sure that the person or business that you go with is reputable and going to do a thorough inspection and that you can rely on the report that they provide. have extensive experience in the building industry. Different inspectors have different processes in place. When you are getting a building report, you want to make sure that it is thorough and that you can rely on the information in the building report. A good inspector will do more than just walk through the property. They will get up on the roof, in the roof and under the floor to thoroughly inspect the property for defects, structural issues and any signs of pest activity. They should also use specialist equipment, including moisture meters, infrared cameras and tools to check wood for the presence of termites. Make sure you ask the building inspector about what sort of insurance cover they have in place. You want to make sure that they will be covered if something gets damaged or broken as part of the inspection. They should as a minimum have Professional Indemnity Insurance in place. If a building inspector doesn’t have any insurance in place, find someone else. If you want a building report done on a property that you are looking to buy, you probably need the report in your hands as soon as possible. So when you’re looking for someone to do your building report ask them how soon they can come and inspect the property and how quickly they can provide the report. Most reputable building inspectors will be able to inspect the property within 24 hours and provide the report within a day. If an inspector you are talking to can’t do this it may be a sign that you should talk to someone else. 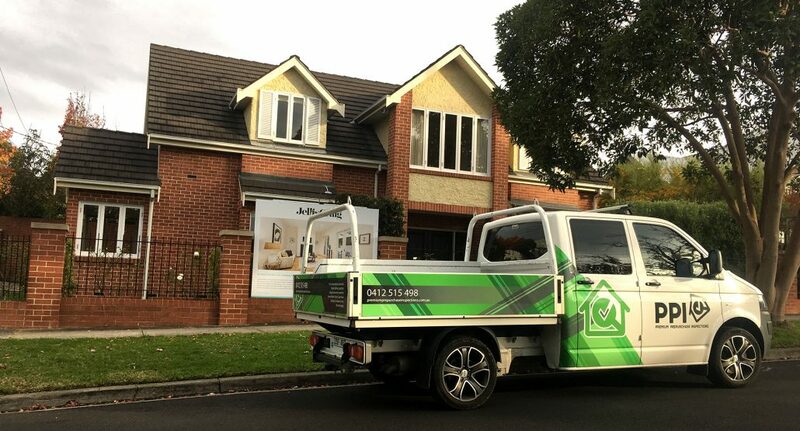 As a registered Master Builder and Pest Inspector, with more than 30 years real building experience, Premium Pre-purchase Inspections Melbourne, is a great choice if you are looking for a building inspection and report. Our extensive industry experience means we’ve seen it all before – the dodgy cover-ups, shoddy work and of course the structural issues and problems that develop overtime. So you can be confident that we will pick up any issues with the property you’re looking at. And, unlike many other building inspectors, we go below the surface to thoroughly check everything. We get under the floor, we get up in the roof, we use infrared cameras and moisture meters, and thoroughly inspect every aspect of a building. So you know exactly what the issues and problems are and what it will cost to fix them. BOOK your PPI Building and House Inspection now, or contact us for a QUOTE. http://premiumprepurchaseinspections.com.au/wp-content/uploads/2017/06/ppihome.jpg 1023 1900 Website Admin http://premiumprepurchaseinspections.com.au/wp-content/uploads/2017/05/PPI-Logo-300x165.jpg Website Admin2017-09-03 00:05:392017-10-03 07:00:10Who can do a building report? Why get a building inspection?